The defense for convicted trooper killer Eric Frein rested its case today in the penalty phase of the trial. Frein decided not to take the stand himself. Unlike the trial, the defense did call some witnesses to testify to mitigating circumstances that would spare his life. Frein was convicted of killing Cpl. Bryon Dickson II and critically wounding Trooper Alex Douglass in a sniper attack and then leading authorities on a 48-day manhunt. He is described as an anti-government survivalist who was hoping to spark a rebellion. 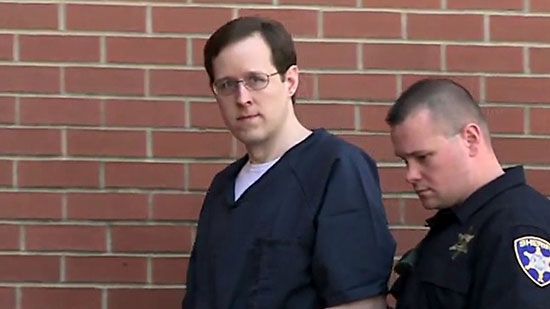 The defense called Frein's sisters to the stand who described their father's oppressive and abusive nature and its affect on the family, but also how Eric looked up to his father and shared his political views. The jury will have to decide whether he receives the death penalty or life in prison. A water main break in Southwest Philadelphia caused flooding and road closures for many in the area. It started early in the morning sometime after 12 a.m. at 58th Street and Chester Avenue in the Kingsessing neighborhood. Water gushed up from under the pavement and flooded the nearby streets for hours. Philadelphia Water Department crews were able to shut off the supply line without affecting water service to the area at around 9 a.m. Roads are closed from 57th Street to 59th Street and from Springfield Avenue to Kingsessing Avenue. SEPTA's Route 13 trolley service is shut down, shuttle buses are being used. The area will be affected at least all day today as crews work to fix the broken main. See video below. Philadelphia Mayor Kenney responded to Saturday's raid on a 'pot party' at a warehouse in Kensington calling it 'overkill' and by saying that Pennsylvania should legalize recreational marijuana. He said, "The real solution is to legalize it in the state of Pennsylvania as they did in Colorado and we won't have to use police resources in these kinds of activities." Around 100 SWAT and police raided the "Philly Smoke Session" event. Police arrested 22 people and seized more than 50 pounds of marijuana and 100 pounds of marijuana infused edibles. 175 people were released without charges. Philadelphia decriminalized possession of small amounts of pot in 2014. The mayor says he understands why they police raided the party, not only because of the drugs but the dangerous situation. Licensing and Inspections has shut down the building and issued numerous fire code violations.